The RISING STAR BASKETBALL SCHOOL was founded with the desire to create an atmosphere to teach the game properly. 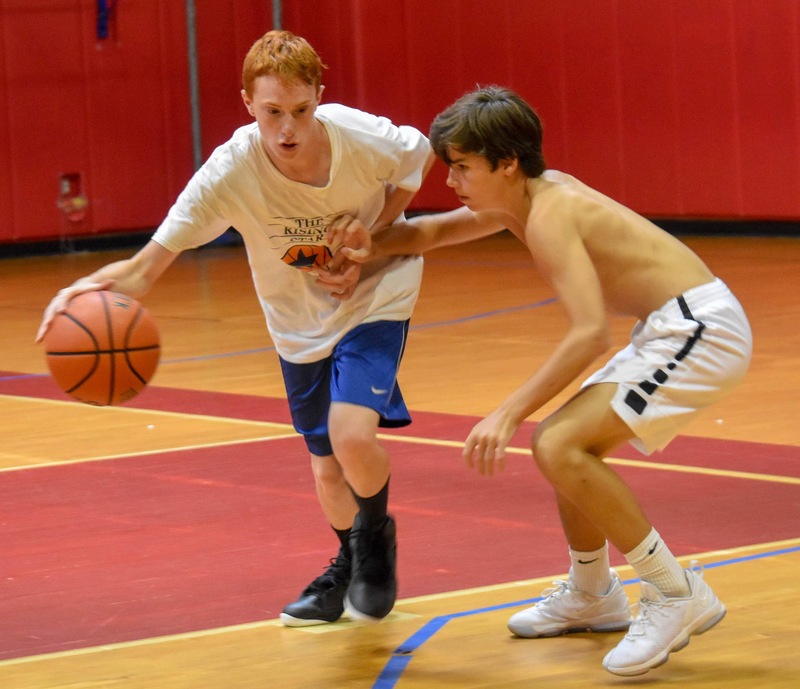 Unlike many camps that emphasize "just playing" or "casual instruction," RISING STAR continually seeks to improve the ability level of our players by providing them with superb coaches who oversee thorough teaching and proper repetitions. The atmosphere at our camp encourages players to improve their work ethic and skills while always fostering the importance of sportsmanship and team play. The deterioration of skill development in the United States has been attributed to the lack of fundamentals. Players are not being taught properly, if at all. Across the country, shooting, ballhandling, passing andoverall team concepts have suffered over the last several years. 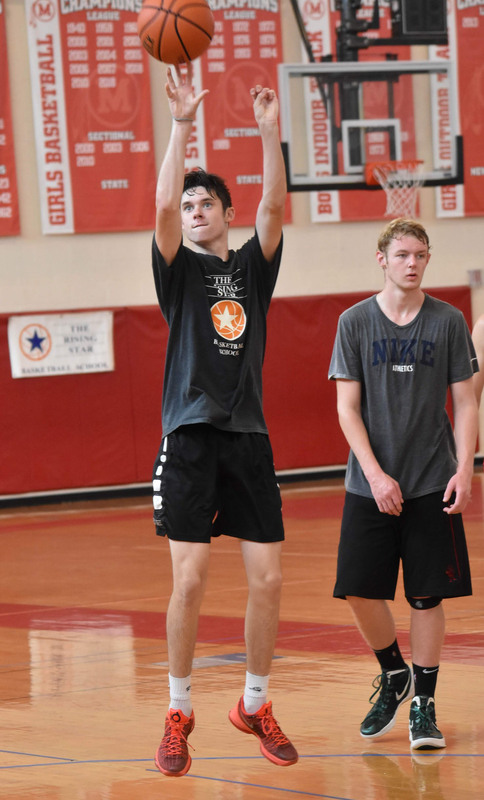 RISING STAR values improving these very necessary skills that every aspiring player must have, regardless of level. Teaching the reflects mastering of the fundamentals! Fundamentals ... Skill Work ... Confidence ... Improvement! The RISING STAR BASKETBALL SCHOOL is directed by Kevin O'Brien. He brings a wealth of experience in coaching at the college level and has operated Rising Star since 1989. Staff members are recruited based on their ability to teach the game of basketball in an enthusiastic and professional manner. The theme of the camp is to create an atmosphere in which learning and hard work go hand-in-hand. This is when improvement occurs. Our staff consists of college and high school coaches as well as college players. Many of our staff return each year. For more information about our staff, click here. We may also be utilizing other gyms near these locations. Addresses/directions available upon request. For 2019, the non-refundable price of each camp session is $290. This includes tuition and a RISING STAR T-shirt. The full and non-refundable payment to RISING STAR BASKETBALL SCHOOL is due with your application. Refunds for injuries that occur prior to the first day of camp will be issued if documented by a doctor's note. Camp must be emailed notice of injury prior to first day of camp. There is a $15 administrative handling fee for refunds. Payment plan is available upon request. Bus service may be available if there is a group of at least 20 campers from the same location. Contact us for bus service locations and prices. Registration/check-in is held on Monday starting at 7:15 a.m. in an area near the main gym. Camp hours are from 8:30 a.m. until 3:30 p.m. (except on the final day, see below). Any camper who needs to be dismissed early should provide a letter from their parent/guardian stating the date and time, and return time if applicable. This should be presented to the player's coach at the start of the camp day. On the camp's final day, an awards ceremony will be held starting at 2:30 p.m., and dismissal will be at 3 p.m. Family and friends are welcome to attend the awards ceremony — and watch any activities throughout the week. RISING STAR offers a refreshment stand for your convenience. Lunch items (such as pizza), snacks and drinks will be sold following our morning activities. Campers also are welcome to bring their own lunches and drinks. All routine injuries will be handled on site by qualified staff. Should an injury require further attention and/or emergency treatment, we will transport the camper to a local hospital. Parents will be notified immediately should this occur. , or call (603) 417-5163. The RiSING STAR BASKETBALL SCHOOL is owned and operated by Boston Sports Academy, Inc.